Larco Engineering are at the forefront of the installation and repair of automatic sliding doors for industrial and commercial premises throughout Ireland. 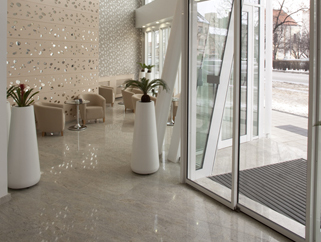 Providing strength, beauty and technology all I one package, Larco Engineering’s line of automatic sliding doors provide entrance solutions for practically any application throughout Ireland. An exclusive feature is the sound-dampening track reducing operational noise to a mere whisper and stops vibration resonance that can be transferred to the building structures. Larco Engineering provide automatic industrial door installation for locations throughout Ireland with offices located in both Dublin and Cork offering extensive expertise in automatic sliding door repair and maintenance. Larco Engineering also provide a wide range of revolving door systems as an alternative to the automatic sliding doors.